Welcome to the wonderful world that is the communal letterboxes! We get very excited about these because that is our job. In this section, we’ll give you a little overview of each type. 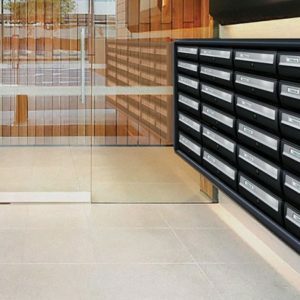 We hope you can find the precise multiple letterboxes for you but if not, please do contact us and we’ll do our very best to get you what you need. 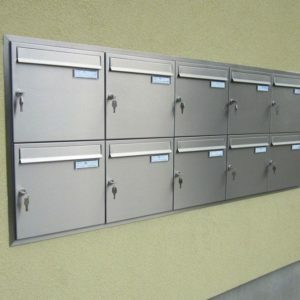 We supply high quality communal letterboxes / post boxes for flats as well as other shared buildings where multiple letterboxes are needed. 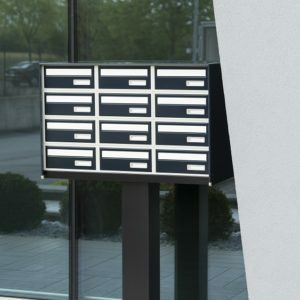 All our communal letterboxes are manufactured in Europe and come with a two-year warranty in the unlikely event of any problems. You will get two keys for each box as well as a master key in case of a disaster, but can order more if you think you might need them. Or, you can order later on, we give you a reference so you can do that. If you having keys is too hard to manage, then we also have models with combination locks. 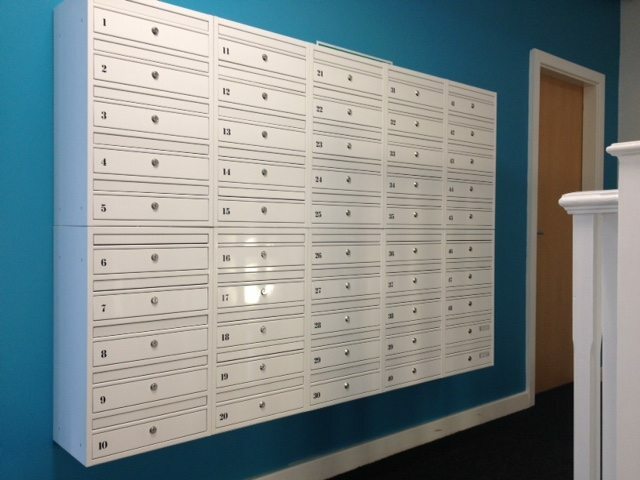 As well as communal letterboxes themselves, we can supply you with the numbers to put on them. We have a great range of different wall-mounted products for your communal post needs. From three to Six boxes in one, or a combination to make them even bigger. 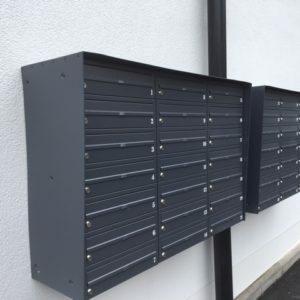 As with most of our communal multiple letterboxes, if you need a different combination, talk to us ( as we may very well be able to manufacture something bespoke. Depending on the available space, we have some narrower models and you can select from a number of different colours and styles to fit with the building design. If you are saving space you might have decided to go for a front in/front out post box built into a cavity in the wall. 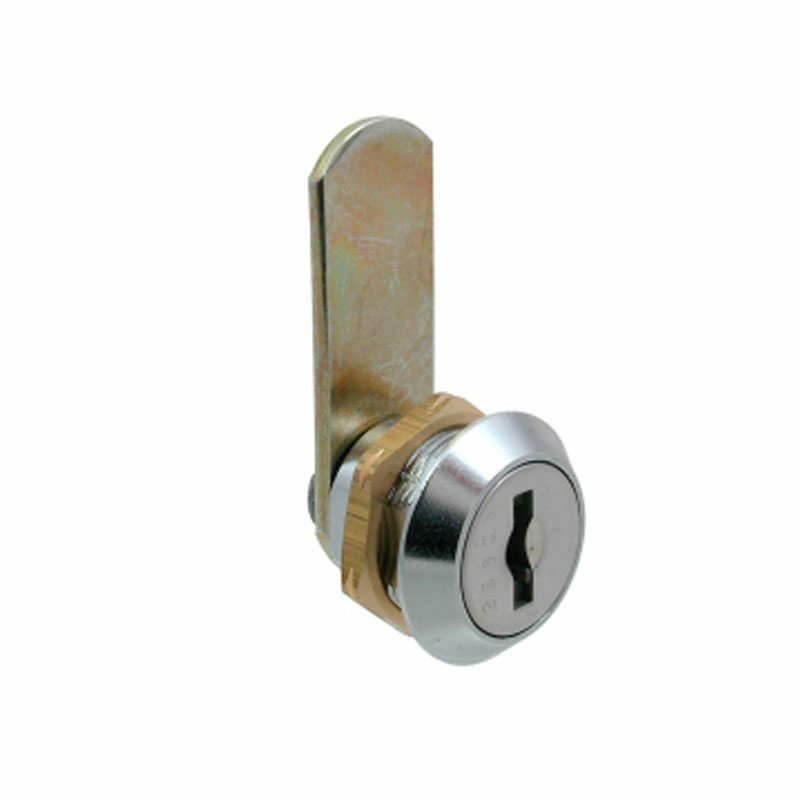 As with our wall-mounted range, these can be built to spec if the size you need isn’t available immediately. Trims are provided to match the colour chosen and again, you get two keys as standard. 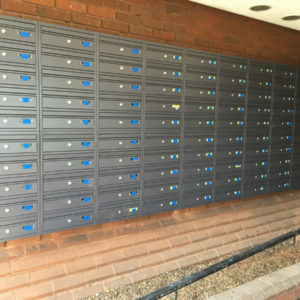 These post boxes allow delivery into the front of the box, outside the building, whilst tenants can access them from the back inside the building. Genius. Our front in/back out multiple letterboxes are perfect for flats, shared offices and student accommodation where you need to save space. Also, a rear-retrieval solution save the postie just a little time! We wouldn’t like to be rude about students, but remembering back to that time, it was quite hard to keep things safe. Like cheese in the communal fridge, road cones and, of course, keys. I assume this was because of the huge amount of work done meant there wasn’t much brain power left over rather than having anything to do with the very tiny amounts of sherry drunk occasionally on a Friday night. Anyway, problem solved for students or anywhere that mislaid keys might be too much of a management hassle – combination locks. And a master key in case of any sherry-related amnesia. No space in the building? No problem. Our external boxes range is designed to stand up to the great British elements! We hold some multiple models in stock or we can customise for larger orders. Sometimes you just can’t fix something to the wall. Not all walls are up to the job. 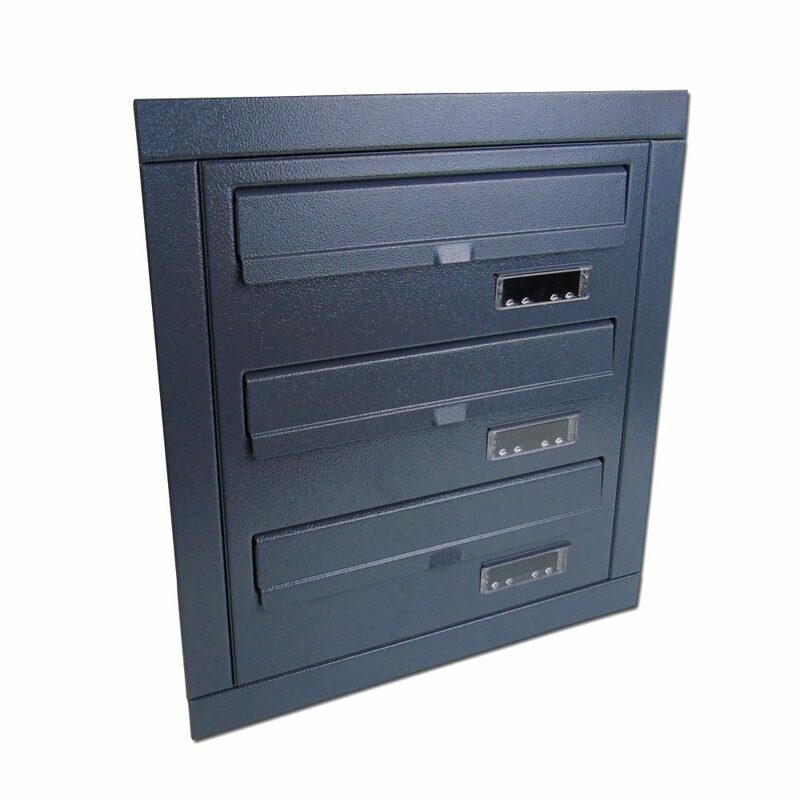 In that event, we have a free-standing solution which you can position as needed. More flexible than a fixed option, there is no need for these to be secured to a wall. Please do get in touch with us if you’d like to order some of these. 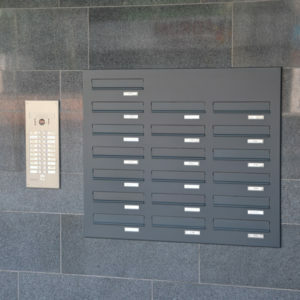 We hoped that was a helpful overview of the different types of multiple letterboxes available. But we love to talk so if you didn’t find what you were after, please get in touch .